FAIRHAVEN, Mass. 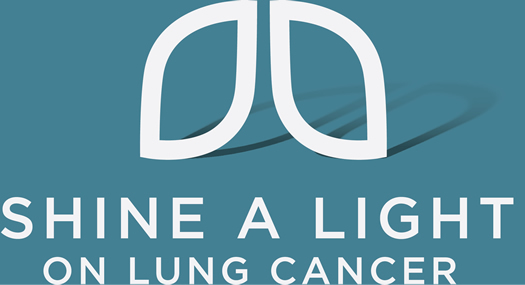 – Southcoast Centers for Cancer Care, a part of Southcoast Health, will host Shine a Light on Lung Cancer on Thursday, November 5, beginning at 6 p.m. at the Southcoast Centers for Cancer Care at 206 Mill Road in Fairhaven. Southcoast Health joins 300 other communities across the country to host this event as part of a national movement created by the Lung Cancer Alliance (LCA). It was created to provide hope, inspiration and support to the thousands who are diagnosed with lung cancer. Lung cancer patients, survivors, family members, caregivers and the community are invited to join Southcoast Health for this very special event, which is the only one of its kind to be held south of Boston and in the Rhode Island area. The event, hosted by WBSM’s Phil Paleologoes, will feature entertainment by the New Bedford Symphony Youth Quartet, and a meet-and-greet with Miss Massachusetts, Meagan Fuller. Brenda Weis, Director of Public Health for the City of New Bedford, will be the keynote speaker. The speaking program will also include personal stories from survivors and lung cancer experts. At the end of the speaking program, the exterior of the cancer center will be lit in purple lights and guests will illuminate flashlights in honor of survivors and in memory of those who have passed. This free event is open to the public, but registration is required. Guests can register here. Light refreshments will be served. Free bus transportation – to and from the event – for patients at the Southcoast Centers for Cancer Care at Charlton Memorial Hospital, 363 Highland Avenue in Fall River, is being provided by Whaling City Transit. The bus will depart Fall River at 5:30 p.m.
For more information about the event, please contact Kathy Tsonis, Cancer Outreach Coordinator, at 508-973-3077. For more information about Shine a Light on Lung Cancer Vigil, visit www.shinealightonlungcancer.org.